What must we do to survive the consequences of our actions? The 21st Century will see changes that have never been seen before. We will face challenges that the human race has never had to face. Throughout history humanity has been faced with challenges but it has always managed to adapt and survive. Empires have fallen, civilisations have come crashing down and there have been setbacks lasting centuries but now we stand at a point where we are more numerous than ever before, where we have more knowledge stored up in books than previously and where we are always discovering new things. For all its faults this is civilisation and it is worth saving. For now we face a crisis of our own making born of our greed and vast numbers. The world is changing. The climate is changing and Peak Oil1 will come. We must prevent all that we can prevent and prepare for everything else, and we must do this now. In 2016 it is predicted that we will move into a new phase of climatic change, in 2020 we will have reached Peak Oil, if we have not done enough by then. Then it is going to get very messy and even if we have done enough by then it will still be painful. We have had 30 years to deal with Climate Change and we have done almost nothing, we need to take drastic action to cope with Peak Oil 20 years in advance but we have at most 11. The time to act was yesterday and so today we must act quickly. The arguments for taking action to avert Climate Change have been made already and made well by many people and so I will not go over them again here. Suffice it to say that we must act quickly and on a very large scale, remembering of course that it is the collective impact of 6.5 billion people that has caused the problem and so it will take the collective efforts of a large proportion of those people to avert disaster. It is important to remember that we do face disaster if we do not act [14, 2] it is also important to remember that the solutions to avoiding drastic Climate Change are also solutions to other pressing issues that we face e.g. Peak Oil (See p??) and the downsides of globalisation2. Climate Change is caused by the increase in the rate of emmission of greenhouse gasses into the atmosphere by human activity and the positive feedback loops whereby increases in mean temperture cause changes that lead to futher inreases in greenhouse gas concentration and/or temperature. The following is a list of the main sources of Global Greenhouse gas emissions in 2002 . Climate change will cause a great many problems and I will only go into a few of them here. Spreading deserts will cover whole countries and cities in a sea of sand, as dunes which have been covered by grass and held stationary for hundreds of years begin to move again. Melting glaciers will cause short term flooding and long term water shortages as flow rates in rivers, supplying India and China fall. The disappearance of Arctic sea ice will result in the extinction of many species and quite possibly war over the mineral deposits and oil (one quarter of undiscovered oil is thought to lie under the ice). Already Russia, Canada and the USA are increasing their military forces in the north polar region beginning a new arms race. Melting of large parts of the Antarctic ice sheet will result in higher sea levels3 and again possibly war. Several nations including the UK and Argentina have staked overlapping claims to parts of Antarctica and surrounding ocean floors. Rising sea levels by up to 2m by 2100 would result in mass migrations. One meter would result in 146 million people having to migrate to a new home and 5m would result in 268 million having to move. This will cause strife as people living in areas already stretched to the limit of their resources will not be happy with millions of outsiders coming to join them. Many climate refugees will head for places like the UK but we are not currently capable of supporting our present population. Acidic Oceans — the oceans absorb 48% of the CO2 that we emit but in doing so they become more acidic. This means that sea creatures with shells will no longer be able to build their shells and so they will die. It is these very same creatures which help remove CO2 from the atmosphere when they die and fall to the bottom of the ocean taking the CO2 with them. This will reduce the ability of the ocean to absorb CO2 meaning that more of the CO2 that we produce will be causing Climate Change. The other problem is that Climate Change will lead to hotter oceans — as the oceans warm up a number of things happen. Firstly the solubility of gasses in solutions is lower at higher temperatures and this means that there will be less Oxygen and CO2 dissolved in the sea. Less oxygen means that fish and other sea creatures will die and less CO2 means that the Ocean will not be able to remove as much CO2 from the atmosphere as it currently does and it may even begin to release it. This causes yet another positive feedback loop amplifying the effect of our actions. Secondly the oceans will take up more volume at a higher temperature and this will lead to further sea level rise. Destabilisation of permafrost could release large quantities of methane and CO2 into the atmosphere and so form a positive feedback loop4 increasing global temperatures even more through the greenhouse effect as global temperatures increase due to our actions. This will also cause many buildings and roads etc. in northern areas to be damaged or collapse. It will also result in a large number of extinctions as species that need the cold are forced further north and higher up, eventually to the tops of a few high mountains. Lakes will dry up as the frozen permafrost beneath them melts. This is already happening in places like Canada. Destabilisation of methane hydrates frozen on the ocean floor could again release huge quantities of methane (There are up to 10 trillion tonnes of methane stored as methane hydrates on the ocean floor.) this would act as a positive feedback loop and help to cause runaway Climate Change. Increased tropical storm damage in areas already prone to damage but also to areas that have not previously experienced any hurricanes. For example in 2004 a hurricane hit Brazil which does not normally experience hurricanes and in 2005 one nearly hit Spain. Increased sea surface temperatures increase the number of places where they can form and also increase their strength. In the future there could be hurricanes in the Mediterranean. Large areas could experience huge droughts as weather patterns change and areas are no longer able to support their inhabitants. Heat waves will become more frequent and hotter as the climate warms resulting in thousands of the most vulnerable people dying of heat stroke every summer. Increased number and intensity of forest fires including places that do not normally experience them. More and greater detail can be found in . It is perhaps sufficient to say that there are considerable chanllenges that will be caused by Climate Change and it is very very important that we mitigate Climate Change as much as possible in order to reduce the damage of the consequences. At the same time we need to adapt for the problems that we have already committed ourselves to and those that will result even in the best case scenario. This is a problem that has only recently begun to come to public attention but it is a very important issue as it will cause dramatic changes to our way of life as things which we take for granted such as being able to drive a car will become prohibitively expensive. Peak Oil refers to the point at which the supply of oil is unable to increase further despite increasing demand, due to the fact that under the current system demand keeps increasing. This means that a gap will appear between supply and demand which will result in dramatic increases in the price of oil based products. As well as supplying fuel for transport and electricity generation, almost all plastic products, fertilisers, medicines etc. depend in some way on oil. According to the International Energy Agency (IEA) “global oil production in total is not expected to peak before 2030, production of conventional oil […] is projected to level off towards the end of the projection period.[i.e. 2030]" and according to Fatih Birol author of the report “[oil production will peak] around 2020 to a plateau as well, which is, of course, not good news from a global-oil-supply point of view.". According to Hirch we need at least 20 years of emergency action to prepare for Peak Oil, and we only have 11 years until 2020. But some experts are predicting earlier dates such as 2013 or even that we have already passed it. [9, 8] Peak Oil does not mean we will instantaneously run out, though it may cause periods when an individual country is not able to obtain any. We should however probably be reducing our oil use by 3% a year as this is the expected rate of decline in oil supply. The causes of Peak Oil are very simple: we are using oil that took 400 years’ worth of sunlight to make every year  and using 5 times as much oil each year as we discover in that year. This is simply not sustainable. Almost all transportation uses oil. Electricity and agriculture use it extensively and would have to make large changes in order to prevent blackouts and food shortages. All plastic products are made from oil. Peak Oil will make everything that depends on oil more expensive — and our whole economy depends on oil. In recent times when prices broke the one pound a litre barrier there were protests as industries heavily dependant on the price of oil experienced difficulties. In the current financial crisis the price of oil has dropped as demand has gone down, but governments are trying very hard to stimulate the global economy and so increase demand and thus the price will increase in the future. This world has a finite amount of resources and our population is growing. The existing population desires to consume more resources as the billions in the developing world strive to have lives more like those of people in the USA. However it is not possible for people who live in the USA to continue to live this way. We just don’t have enough planets for everyone to live like the USA. We would need 5 planets with our current population. Population is expected to peak at 9 billion which would mean that we needed 62/3 planets. We only have one. 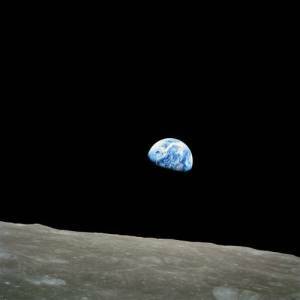 Figure 1: Earthrise as seen from the moon: one tiny delicate Jewel in the vastness of space. There are certain resources that humanity require access to, these include food, water, shelter, healthcare, transport, electricity and most importantly freedom. However these are all threatened by the twin challenges of Climate Change and Peak Oil. relies on agriculture (heavily dependant on oil) and large areas that are currently producing food will see significantly reduced yields due to both Climate Change and the inability to use fossil fuel fertilsers and pesticides. This will be felt most strongly in areas which are already hot. To a small extent this will be balanced by increased yields in more northerly areas with more reliable rainfall, but taking advantage of that would require either transporting large quantities of food from cooler to warmer areas or moving large numbers of people from warmer to cooler areas. Neither of these are particularly attractive propositions. Flooding of coastal areas will permanently destroy agriculture and more extreme weather events will destroy crops across the world in an unpredictable manner. The oceans which are already stretched by overfishing will be put at further stress by warming oceans. Fishing of some species will have to be banned entirely to ensure their survival. Peak Oil will mean that the use of artificial fertilisers, pesticides, herbicides and fungicides will have to be cut significantly as these become increasingly expensive, however conventional agriculture relies heavily on these and would have to change drastically to cope. At the same time the increasing price of fuel will mean that the use of motorised vehicles in farming will have to be reduced and more work done manually, however the average age of farmers in the UK is over 65 and so the intensive manual labour of previous generations is no longer possible. supplies across the world are threatened due to glacial retreat, changes in rainfall patterns and redution in ground water supply. Already large areas are progressively running out of water as usage has increased. The Aral Sea, once one of the largest lakes in the world is now little more than a dry lake bed. The Colorado river rarely reaches the sea and more and more wells across the world are drying up as more water is extracted from them than reaches them as rain. Climate Change will only make this worse and Peak Oil will make techniques such as desalination plants and the pumping of water over large distances far more expensive and desalination is already almost prohibitively expensive. The use of more fossil fuels to produce water will only make Climate Change worse. Millions of people will become climate refugees as their homes become permanently uninhabitable this will put stress on housing in those countries that the refugees flee to. Already millions of people are living in refugee camps and this will increase with the mass migrations we will face in the future. is vital to the well-being of a population, but in the future significant stresses will be placed upon the system. The increased temperatures will allow infections such as malaria to affect new geographical areas. Already bacterial strains that are resistant to many different antibiotics are spreading and this is likely to increase in the future. Many medicines rely on oil for their production and all rely on it for their packaging and transport. is vital for ensuring that food and medicines and so on can reach people. Increasing fuel prices will make using oil for transport increasingly unaffordable but there are no quick fixes. Bio-fuels cannot replace oil as there is simply not enough land available to produce enough oil and enough food. We are after all using 400 years worth of oil every year and replacing that with the oil grown in one year will be difficult. Electric cars have been held up as a magic solution but we are currently not hitting targets for the proportion of electricity that should be produced from renewables by this date — we are certainly not producing enough to cover the energy cost of private transport as well. Hydrogen produced by electrolysis is not going to be the fuel of the future as we are not producing our electricity from renewables and most hydrogen is currently produced from natural gas with the by-product of CO2. Production of hydrogen from genetically engineered algae holds some promise as it could allow large quantities of solar energy to be captured in desert areas and easily transported to areas that need it. Safety fears about hydrogen are overrated because due to its low density it rises quickly during an explosion and unlike oil does not stick to the skin of people it touches.5 Cheap commercial aircraft do not have a future. From the point of view of our individual carbon budgets, one flight can wipe out a year or more of an individual’s carbon budget — and even without that living within our budget in a developed nation is very difficult. From the point of view of Peak Oil, cheap flights not will not be sustainable as oil prices increase. Due to the high carbon and oil intensity of flight and car travel we will need year on year reductions in the number of flights and car journeys globally. supply is vital to most of our infrastructure, for example without electricity water will stop flowing and our fridges and freezers will stop working causing food to go off. Transportation would collapse as trains and planes became unusable. Despite the importance of electricity to the UK we don’t have a plan that will result in consistent supply in the future. Far too many renewable energy projects are getting stuck in planning for 5 years or more and being rejected due to NIMBYism6. Power plants are going to be coming to the end of their lives and not currently going to be replaced in time. Nuclear is not going to help because it will take too long to be built and it distracts both funds and attention away from renewables. Without freedom we have no chance of surviving the transition from a high carbon-energy world to a low carbon-energy one. To make the transition the status-quo will have to change — we have no choice — but there are vested interests that do not want to see that change. Oil companies will not support policies of reducing oil consumption, car companies are already clamouring for and receiving state payouts to support a dying industry. Mass movements of people are going to have to challenge government and businesses to do that right thing. Without freedom they will not be able to do this. Technology has made repression easier than ever before. Already the tracking of car number plates by Automatic Number Plate Recognition (ANPR) cameras such as those used for average speed cameras means that large numbers of journeys are tracked. CCTV cameras with facial recognition are commonplace enabling the tracking of pedestrians. The action of the police at for example the G20 summit or the Climate Change camp is increasingly worrying. Journalists are being targeted and prevented from reporting. Protesters are being forbidden from hiding their identity and having their photos, names and addresses recorded in national databases on a permanent basis. Anti-terrorism and spying powers are being used on peaceful environmental and human rights groups. All web traffic, emails and phone calls etc. are tracked and monitored for suspicious behaviour. Previously this would have been impossible due to the vast number of people who would have had to been employed in order to manage systems that now need only a few computers in a database. In times of difficulty it is more important than ever that we have safeguards against abuse of power and yet as the problems approach us our defences are being removed. There are a large number of different solutions available and we will need to use all of them in combination in order to avoid the worst of the consequences and to make the most of the twin challenges we face. There has not been a greater challenge to humanity but we have no choice but to rise to it. We should not look at Climate Change and Peak Oil as problems but rather as opportunities. We face a crisis the like of which we have never seen — an opportunity that we may never get again: to make a better world. We need sustainability in all our systems and processes, and this means robustness. Different countries and regions need to be able to exist without contact with others. Global transport links cannot be relied upon and so everything needs to be done as locally as possible. We need efficiency in everything, as the population increases and at the same time we are reducing the total use of resources we will have to make less stretch further. We can no longer afford the vast quantities of energy and product that is wasted. Currently the UK is a net food importer which means that the transport of food to us is heavily reliant on fossil fuels and produces large quantities of carbon. Agriculture is heavily dependant on fossil fuels and will have to change drastically to reduce fossil fuel use. A significantly larger proportion of the population will need to become food growers. This need not be on the level of farms, though the number of people farming on traditionally sized farms will have to multiply. It is most efficient for food to be grown locally and so as Cuba did  when the fall of the Soviet Union cut off their oil supplies and in the UK during WWII we will need to turn over gardens and balconies and scraps of unused land to food production. Permaculture is becoming increasingly popular as a sustainable food production method as it minimises the use of both fossil and human energy in maintaining it by making uses of the interconnected nature of plants and animals to do most of the work. A natural forest is the lowest energy form of biomass production and permaculture seeks to produce a food forest using the minimum energy for maximum output. Water usage needs to be drastically reduced in many areas. It just is not sensible to have golf courses and grow water melons in deserts. The concreting over of large areas of land has decreased the amount of water that is absorbed into the ground and stored and consequently increased flooding. This needs to be reversed, especially in countries which experience short periods of intense rainfall followed by drought. Water needs to be slowed in its movement across the land and into the sea, allowing it to be absorbed into the ground and preventing fertile top soil from being washed away. For example in Scotland all new building projects need to use a ‘soak away’ that allows the water that falls on roofs etc. to soak into the ground rather than going straight into streams and rivers and cause flooding. In dryer areas like the south of England this is even more important. Farmers will need to reconsider their use of drainage and make greater use of ponds etc. to store the water that falls on their land in the winter so that they can use it in the summer. The same principles can be applied on a home level. Rainwater can be collected and used to water gardens. Grey water from sinks and baths etc. can be used to flush toilets. In this way the use of water can be reduced and more water can be made use of. Our aim must be to eventually produce all our energy from renewable resources. This does not mean an end to fossil fuel usage as at 1/400 of our current level of use oil becomes a renewable resource7. Currently at least in the UK the increase in the amount of electricity produced from renewable sources year on year is not nearly fast enough. Far too many viable projects are being struck down in planning due to fears that the view would be spoilt. This is not the case. wind turbines for example are beautiful, I have one in my back yard — it produces more electricity than we use in a year. Micro-generation is more efficient in terms of energy transport and should be encouraged far more strongly than it is. Currently the grant system is such that you have to be able to supply all the cash in advance and claim back the grant later. This provides a barrier to people on low incomes who would benefit the most from the reduced bills. One positive step forward on this front is energy companies being required to install insulation in people’s homes and pay for it directly under various8 programmes. We need plans that will result in 80% of energy coming from renewable sources by 2050 in the form of year on year binding increases that government is required to achieve. In turn government would require the same binding increasing from the energy companies. It is also important that the shape of the curve of change is not merely linear, as the initial changes are the easiest. The year on year increases in renewable energy must be higher initially as shown in Figure 29Renewable Energyfigure.10. It is important that we use all currently available renewable energy technologies and do not wait for future ones to arrive. We do not have the time to spare. It is also important that we invest in new technologies and in refining the ones we already have. It is just that we cannot rely on research being completed in time and we have delayed far too long already. 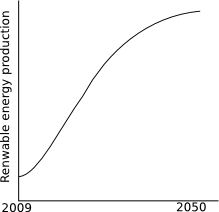 Figure 2: Initial increases in renewable energy production must be much larger than later ones. In a continuation of part of the CERT9 scheme energy companies should install micro-generation that is appropriate for each site. For example any building using oil or coal heating should have a heat pump10 installed. Cornwall is the part of the UK with the highest sunlight intensity and so every inch of south facing roof in Cornwall should be covered in either photovoltaic11 or thermal12 solar panels.13 Even in the north of Scotland three panels can produce half the hot water needed by a family of five over the course of a year. Buildings in windy areas14 with a suitable location should have a wind turbine installed. Small scale hydro plants hold much promise, for example horizontal turbines similar to those used in old watermills which do not require dams to work could produce large quantities of electricity in cities with rivers flowing through them. Even small streams can produce impressive quantities of electricity. Done properly they can also reduce the risk of flooding. The aim needs to be to make all new buildings zero carbon or close to that. Of course in some cases that is not currently possible but as we continue to strive towards that goal we will get closer and closer to that target. Large scale projects are more attractive to big businesses and government and they have an important part to play but micro-generation is more likely to be ignored. We need large offshore wind, tidal and wave power plants as well as more onshore wind15. Energy Efficiency is very important to achieving large reductions in CO2 production and fossil fuel use. As individuals we should only accept A rated appliances. When designing and maintaining products from chairs to national infrastructure it is important to remember that however long you are intending them to last they might be required to last far longer. In an uncertain future we may not have the resources to replace them and so they must be built to last. All buildings which do not currently have current building standard thickness insulation installed and which could have it installed should be required to have it installed by 2012 again the part of the CERT scheme mentioned previously would be used to do this. Local recycling is very important to improving efficiency, where posssible there should be a ‘closed loop’ so that all the resources neeeded to make something come from recycling previous versions. Currently the use of energy by computer systems is growing year on year at quite a high rate. Efforts are being made by companies such as Google and Intel etc. to increase the energy efficiency of their systems and the higher energy prices rise the more effort will be put into doing this. Computer systems are however still a rapidly growing sector and a great deal of work still needs to be done in order to reduce energy usage. Virtualisation16 and thin clients17 hold some promise in this area but much work needs to be done before this will be easy enough for ordinary people to use. To cope with the transition we need to plan and implement these plans at all levels of society. Each individual person needs to work out what they can do and do it. They in turn as a local community need to work together to transition as a community and local communities need to work together on a regional level to transition as a region and on a national level each nation needs to transition to a low energy & carbon system. Nations need too work together and agree to binding year on year targets to reduce both CO2 production and oil & gas usage. On all levels we need to realise that we cannot wait for the next level up to tell us what to do. Each individual needs to play their part and stimulate their local community to do the same and so on. Nations need to agree globally on binding targets18, but each individual nation should set itself binding targets and sign agreements with whoever is willing to commit themselves to the same level of reduction. The fact that some countries have incompetent governments that are not planning their transition cannot hold back other countries from doing so or they will suffer also. As individuals we each need to work out how we can reduce our CO2 production to one tonne a year and remove our reliance on fossil fuels. For example in cities we can walk or cycle short distances and use public transport or join a car club for the longer ones. We can switch to a green electricity supplier, improve our insulation, turn down our thermostats, switch to low energy lightbulbs, and investigate which micro-generation technologies are appropriate for our homes. We can also grow some of our own food. On a local level we need to do the same for our community buildings such as schools and hospitals, but also for business premises. Local communities should have access to allotments and fruit trees and shrubs should be planted in public areas. Nationally we need to require binding targets that year on year reduce our fossil fuel usage and greenhouse gas production. We need to incentivise sustainable courses of action through grants, ‘green’ taxes and regulation that requires it. Each year we need to hold government accountable to the binding targets as governments will only do what their electorate requires of them. Internationally all the governments with sense need to work together to agree international binding targets for year on year reductions. They also need to put pressure on governments without sense to agree to these targets as well. Only as a global community can we face the challenges before us. As we will be solving the problems we face in a distributed manner with each individual, locality and nation finding their own solutions it is important to try to minimise duplication of work as this is inefficiency. The Internet provides a means through which this can be done. New technologies will need to be developed to allow the distributed generation and ratification of policy documents and to allow plans to be collaboratively developed by different organisations in different countries that do not necessarily trust each other. When writing laws and constitutions a wiki such as Wikipedia is not good enough and a distributed version control system with an easy to understand interface is required. To efficiently distribute resources between different groups then it will be necessary to record what and where they are. For example someone could say I have this species of vegetable and if you want some seeds you can contact me here. We also need to connect the projects that need funds to the people that want to invest in them. For example a small island in the north of Scotland might want to install a few wind turbines but not have the funds to do so, and some people in Edinburgh might want to invest, but currently there is no easy way to connect those two groups together19. We face the greatest challenges we have ever faced and our way of life and our planet will change drastically in the future and that future is not that far away. Our choice is this: do we plan for that change and direct that change or do we let the biggest change we have ever faced hit us suddenly with all its strength when we are unprepared? I hope you see that there can only be one answer to that question. We must change our lives before we are forced by events to do so, only then can we survive the future with civilisation intact. Millions of people are going to die because of our collective actions, the question now is how many millions? How many billions? That is our collective choice, there is not much time left to act and if we fail, we die. If we act, we live. The power of community. Flim, . Working Group II Report “Impacts, Adaptation and Vulnerability", 2007. Working Group III Report “Mitigation of Climate Change", 2007. Vattenfall AB. Global mapping of greenhouse gas abatement opportunities up to 2030. Web: , 2007. Nick Spencer Robert White. Christianity, Climate Change and Sustainable Living. SPCK, 2007. ISBN: 987-0-281-05833-4. David Anthoff, Robert J. Nicholls, Richard S.J. Tol, and Athanasios T. Vafeidis. Global and regional exposure to large rises in sea-level: a sensitivity analysis. Working Paper 96, Tyndall Centre for Climate Change Research, October 2006. This work was prepared for the Stern Review on the Economics of Climate Change. Fatih Birol et al. World energy outlook. Technical report, International Energy Agency, 2008. Rob Hopkins. The Transition Handbook: from oil dependency to local resilience. Green Books, 1st edition, 2008. Rebecca Hosking. A farm for the future. Film, Web: , , 2009. Mark Lynas. Six Degrees : our Future on a Hotter Planet. Harper Perennial, 2007. George Monbiot. When will the oil run out? G2 - The Guardian, pages 12–13, December 2008. Web: . Leo Murray. Wake up, freak out - then get a grip. Web: . W. T. Pfeffer, J. T. Harper, and S. O’Neel. Kinematic Constraints on Glacier Contributions to 21st-Century Sea-Level Rise. Science, 321(5894):1340–1343, 2008. Nicholas Stern. Stern review: The economics of climate change. Technical report. wonderingmind42. How it all ends. Web: . If for example someone were to shoot a barrel full of oil it would explode, however if someone were to shoot a barrel full of hydrogen then it would just leak out. The Government’s Carbon Emissions Reduction Target in which they require energy companies to meet targets to reduce emmissions by installing insulation in their customer’s homes. For example a ground source heat pump or an air source one, these work by extracting the heat from the ground or the air and using it to heat the building, typically they are between 350–450% efficient i.e. they provide three to four times as much heat energy as is put in as electrical energy. Small very low power computers that are basically just a screen, keyboard and mouse and do the actual work on a server which could be hosting many different people’s ‘computers’ at the same time, reducing energy use. For an example of something that could do this see the Student-Run Computing Facility’s (SRCF) graphical desktop service. Targets should perhaps be calculated using a running average rather than a straight percentage change in a year as this allows for smoothing out of spikes due to unusually hot/cold winters etc. while still allowing for a binding target each year to which governments can be held to.